Let's Tell Kids the 'Good News'! 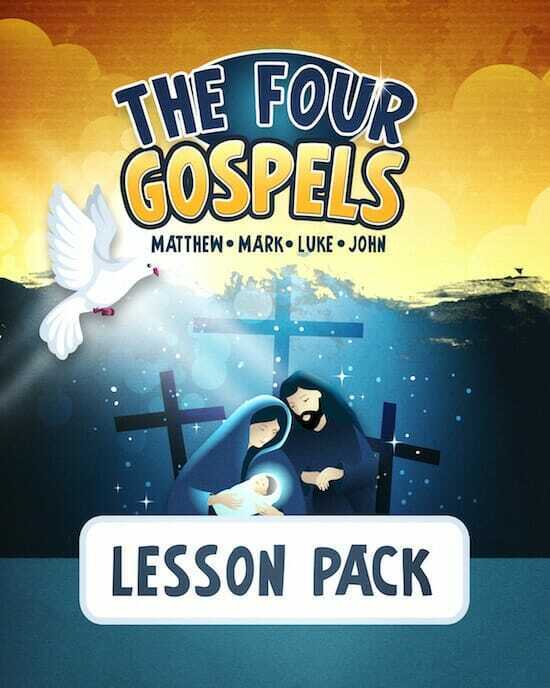 The most important thing you can do for children is teach them the good news about Jesus – and that’s exactly what we aim to help you do in our new “The Four Gospels” Lesson Pack! 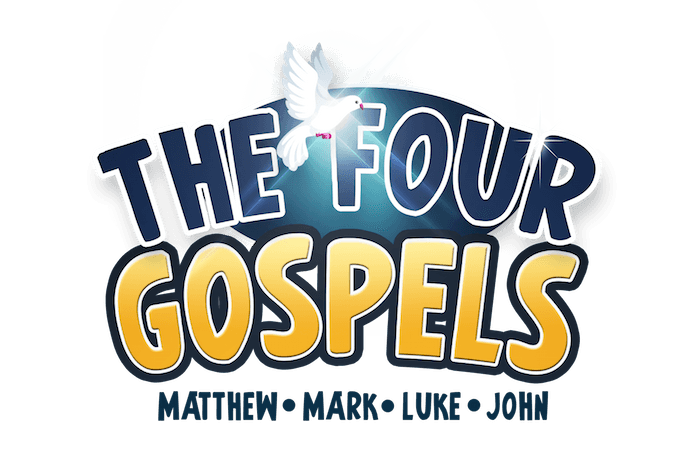 Featuring interactive lessons, games, and crafts this new teaching aid focuses on the books of Matthew, Mark, Luke and John – the four gospels – so that the children you are teaching are able to gain a much better understanding of Jesus and his life. In today’s often evil world, convincing children of the goodness of Christ can sometimes seem like a difficult task. But the truth is you don’t need complex programs or lengthy training sessions or strict methods to get them to understand. Our four lessons, each focused on a different gospel, will bring Jesus to life in the hearts of your students. They will learn about his kingship, about his servanthood, about his humanity and about his divine status. They will learn what he did in his perfect life and death for each of us. This knowledge will build within them the foundation they need to maintain a lifelong relationship with our lord and savior, Jesus Christ – a relationship that will carry them through difficult times and make good times even better. Like the One Lived by Jesus! In The Four Gospels Lesson Pack children will hear from the witnesses who saw everything that Jesus did. They will also see how the gospels pull the entire Bible together, connecting Old Testament prophecy with New Testament teachings and guiding all who believe toward an intimate, eternal relationship with God. Most importantly, they will learn the Good News! We have organized our Gospels Lesson Pack into FOUR 1-hour lesson plans. The 1-hour lessons can be given one after the other as a month long module or used throughout the year as needed- they are designed to be flexible! A hallmark of our lesson plans is our “Teaching Script”. 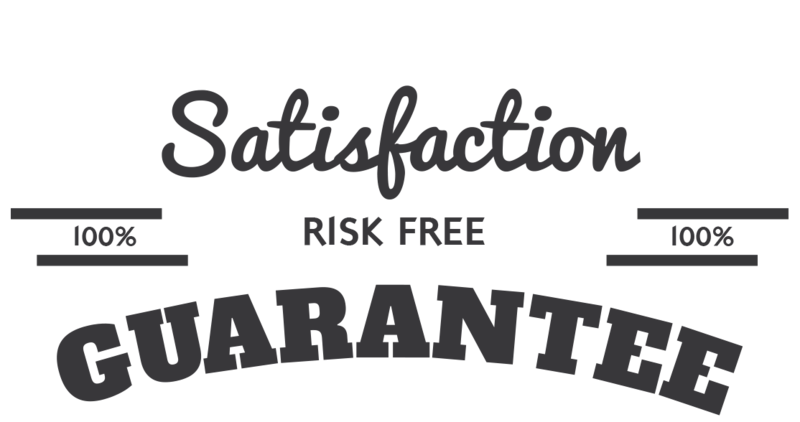 We provide you the exact words, questions, and discussion topics so your message will always hit home with kids. You can use the scripts word-for-word or just simply as a guide – it's up to you! In short, you get everything you need to teach kids about the Gospels with confidence & ease! Each week, you will focus on one of the gospels — Matthew, Mark, Luke, or John. The lessons present facts about each; what’s different about each one; whom the writer was speaking to; what he was trying to say; and what’s become special about each one. Each week’s materials feature a learning game that will help students memorize one of the most famous verses from that week’s gospel. Games will either have kids thinking, organizing, imagining, or blowing off some steam by bouncing balls. But all promise to have students reciting an important gospel verse after just a few minutes of play. These are all easy, fun to do and reinforce the lessons. Simply print and go. The crafts can be completed using glue sticks, markers and scissors — things most every teacher has in the supply closet. Our worksheets focus on two other famous scripture passages from each gospel through puzzles and games. You can use the sheets at the top of class to give kids a head start, at the end of class, or as a take-home piece for a midweek recharge. Order Now & Receive the Following Bonus Gifts! 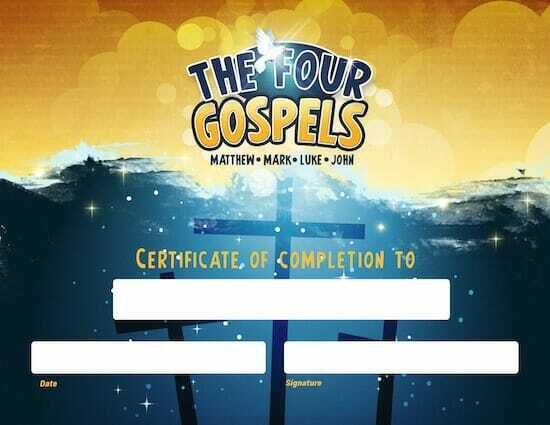 Use our printable 8.5 X 11 certificate to award students upon completion of the Four Gospels Lessons. Print off as many copies as you need year after year. Encourage parents to post on the refrigerator to celebrate their child's accomplishment and serve as a discussion starter. 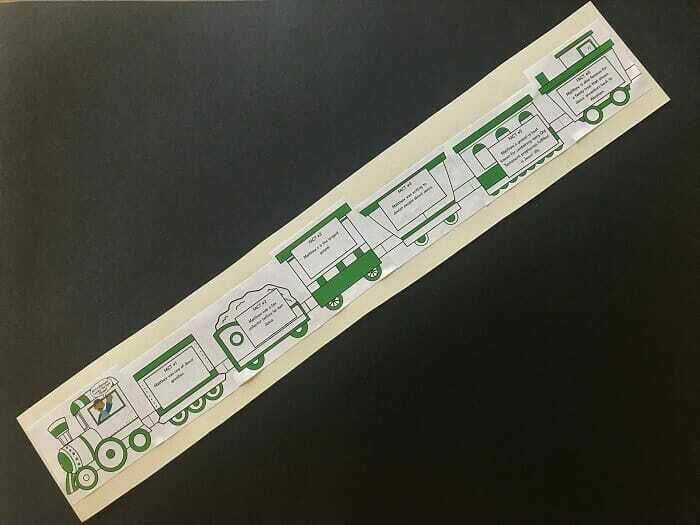 Each week, kids can create their very own "Gospel Train" that relates to the Gospel studied (Matthew, Mark, Luke, or John). 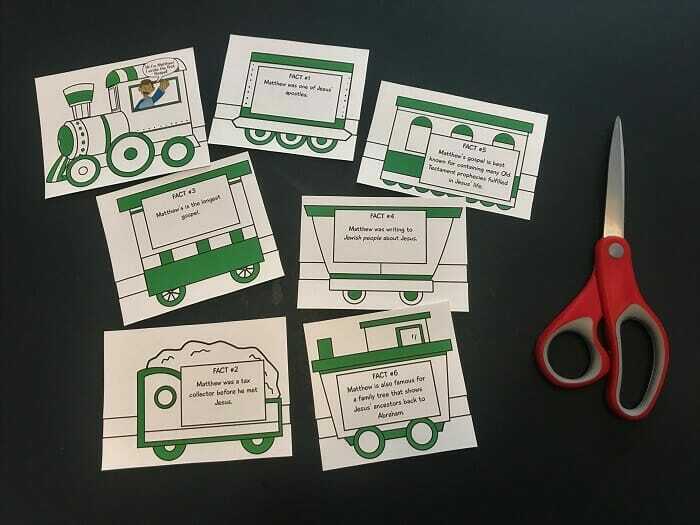 There are two printable templates with train cars provided for each lesson. 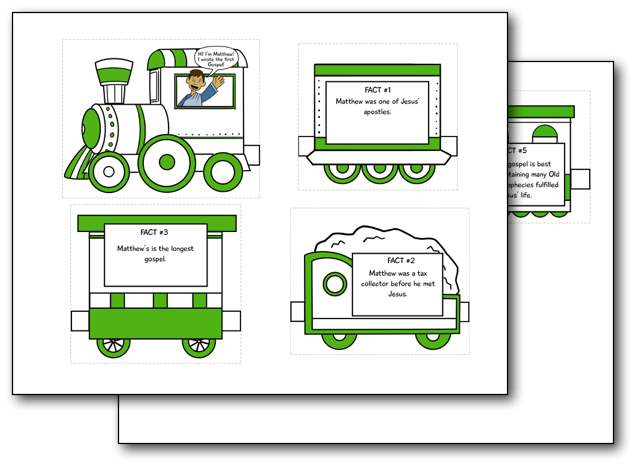 Simply print out one copy for each child, have them cut out the cars, and assemble the week's "Fact Train". There are 6 key facts written on each train car that relate to the specific gospel. It's a great learning tool, discussion starter, and wall display! The only materials you will need are scissors and glue sticks! Gospel Train Templates as You Need! That’s right, we are so sure that you will love the Four Gospels Lesson Pack that we are offering an unconditional 100% money-back guarantee. That’s TWO FULL MONTHS to put these fun turn-key lessons to the test! As soon as your order is securely processed, we’ll direct you to a download area, where you can get instant access to the complete lesson pack. In other words, not only are children capable of understanding the Kingdom of God, but we are all directed to approach it with childlike belief and wonder. Help your students get to know Jesus better and develop on obedient heart so that they will make Him the boss of their lives ... get the Four Gospels Lesson Pack today. Our lessons are designed to be taught after only 5-10 minutes of “prep time”. You don’t need to go around collecting craft materials or spending an hour before class getting organized. You can literally “print & go”. Both! We provide plenty of options and suggestions to make the lessons work in just about any setting- regardless of the number of children you are trying to inspire. They work equally well in large Sunday School classes and small single child homeschooling family settings. YES, I want to help kids get to know Jesus better! Please give me INSTANT access right now!